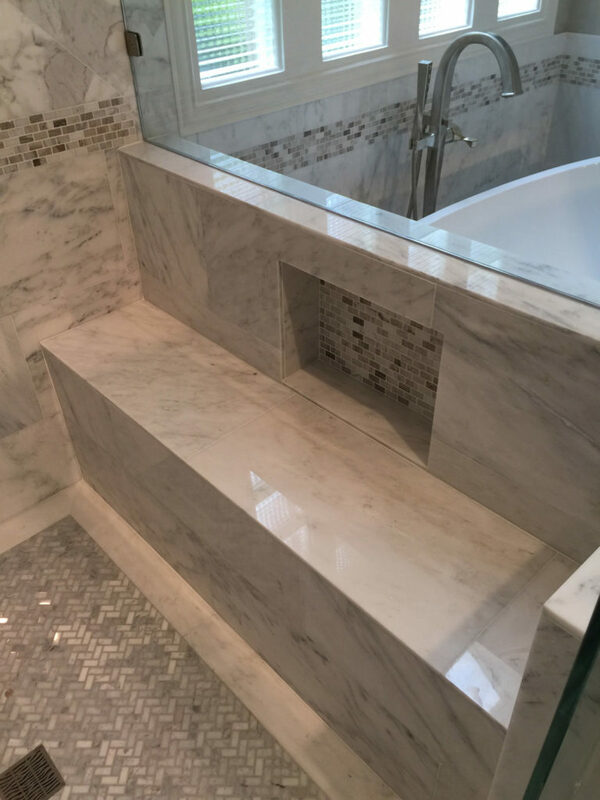 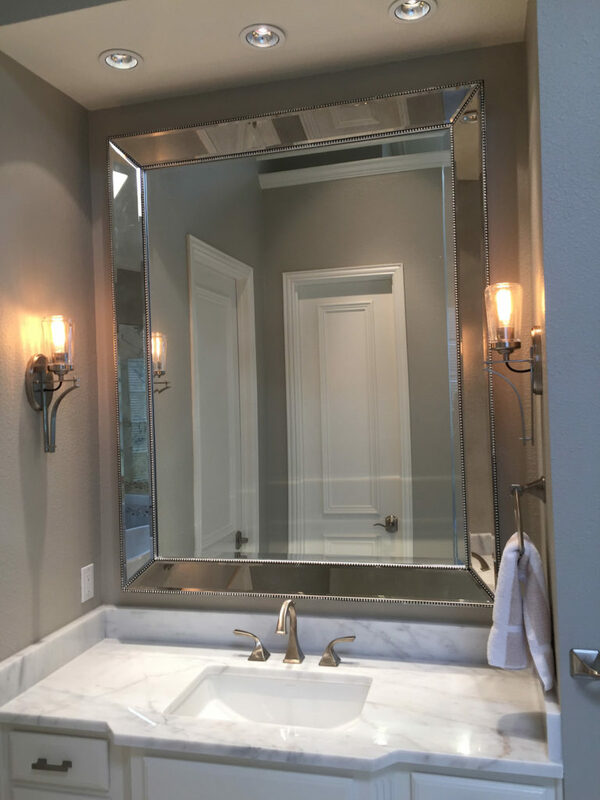 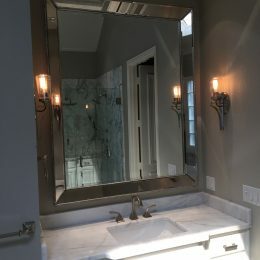 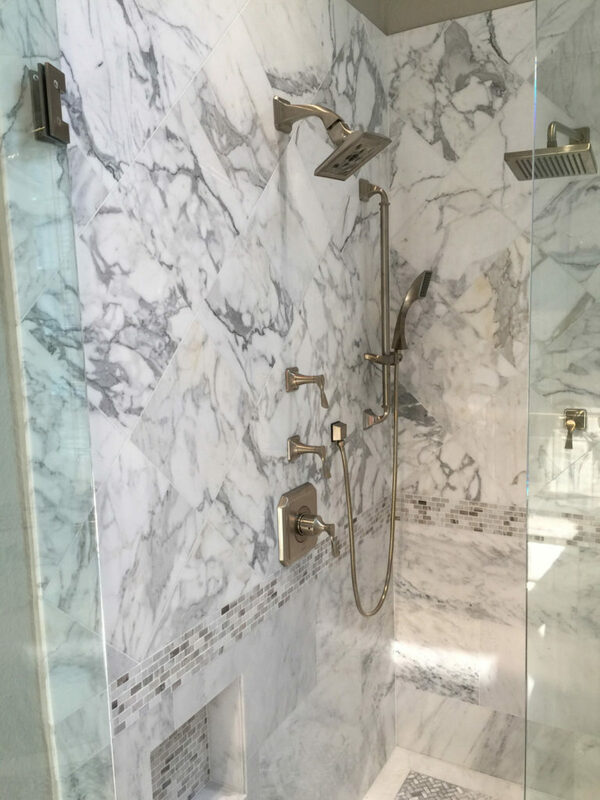 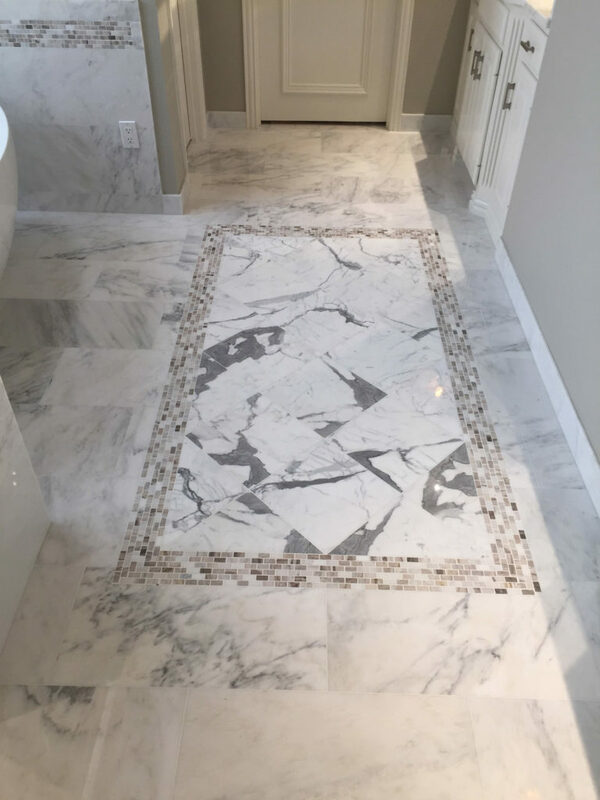 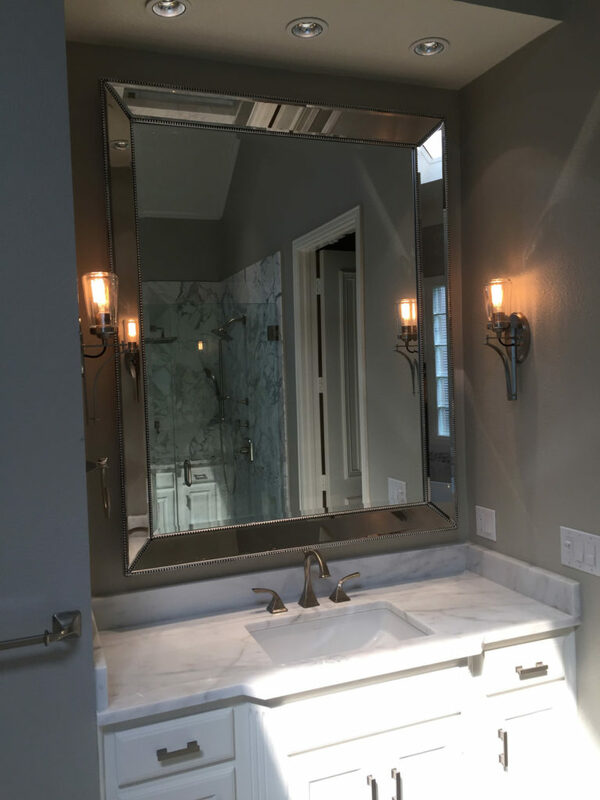 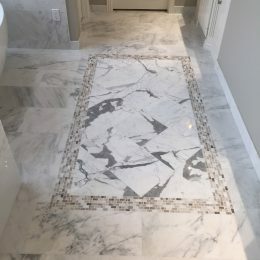 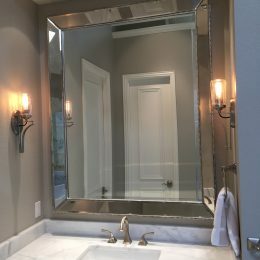 This master en suite brings brushed nickel fixtures and bright white stone together in a masterpiece of contrast. 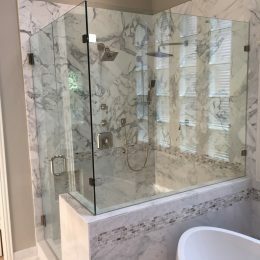 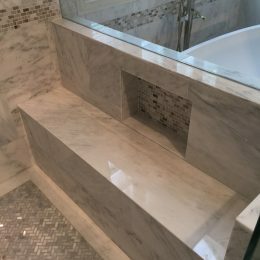 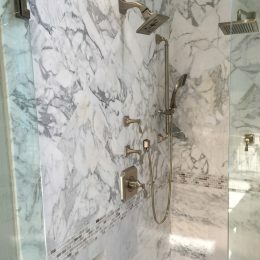 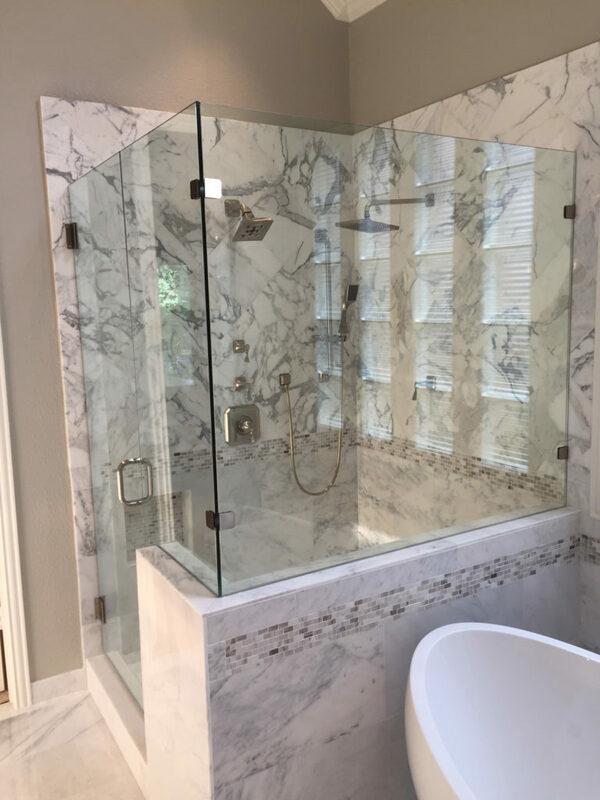 The frameless glass shower showcases two shower heads and a built-in bench, which dual vanities provide separate spaces for his and hers. 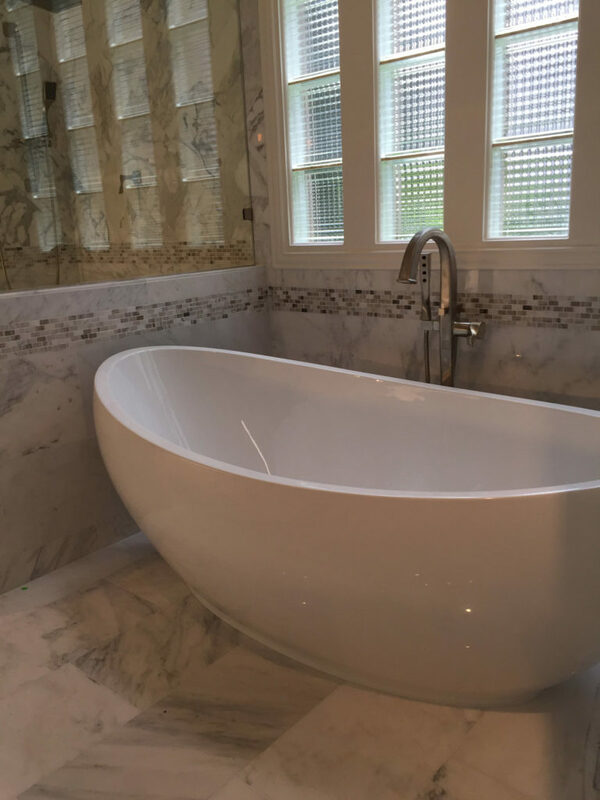 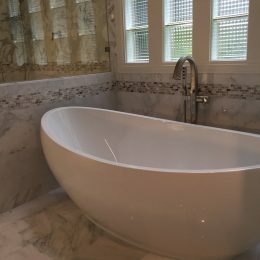 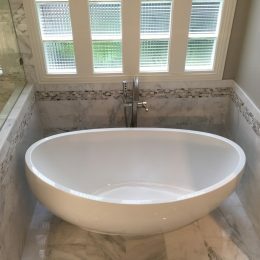 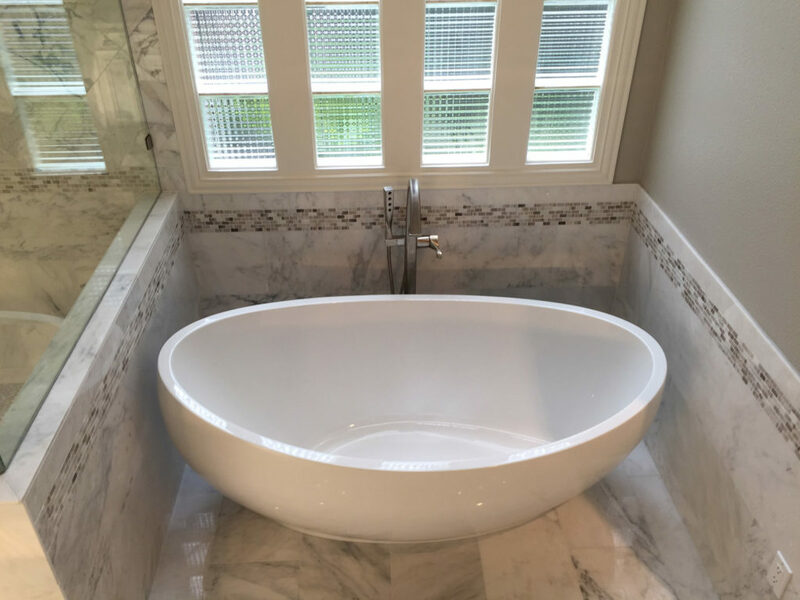 A modern standalone porcelain tub anchors the room under the glass brick windows.